Every year, millions of travelers fly through Doha’s Hamad International Airport but not as many can boast having ventured beyond the airport to see the wonderful city itself! For the keen explorer, this Arabian Peninsula offers truly memorable sights that would light up your Instagram feed. From futuristic museums to timeless historical sites, the capital of Qatar is a picturesque travel gem waiting to be uncovered! Here are 10 awesome photography spots in Qatar that will really make your Instagram feed stand out. Prepare to be woke! Ready to fly to Doha for an unforgettable adventure? Book your flights now with WEGO to enjoy the best air travel rates on Qatar Airlines! 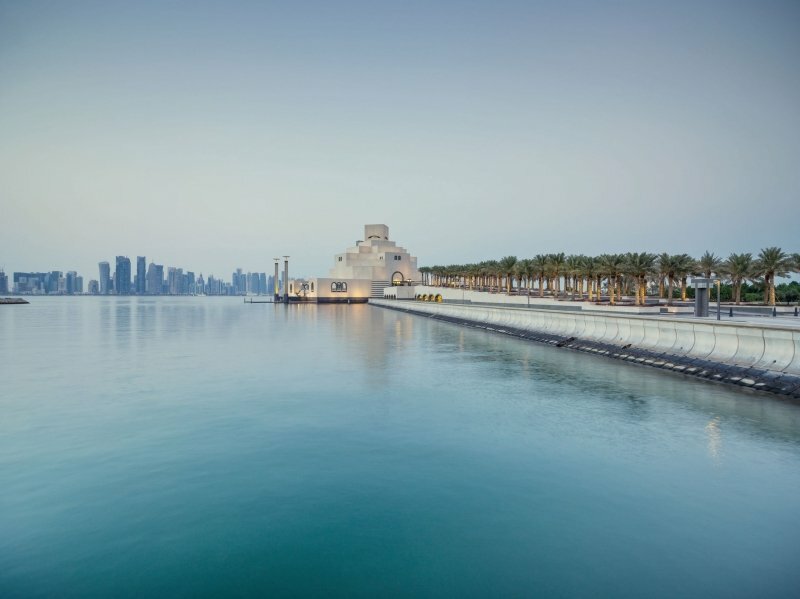 The iconic Museum of Islamic Art sits on one of the most picturesque locations in Doha. 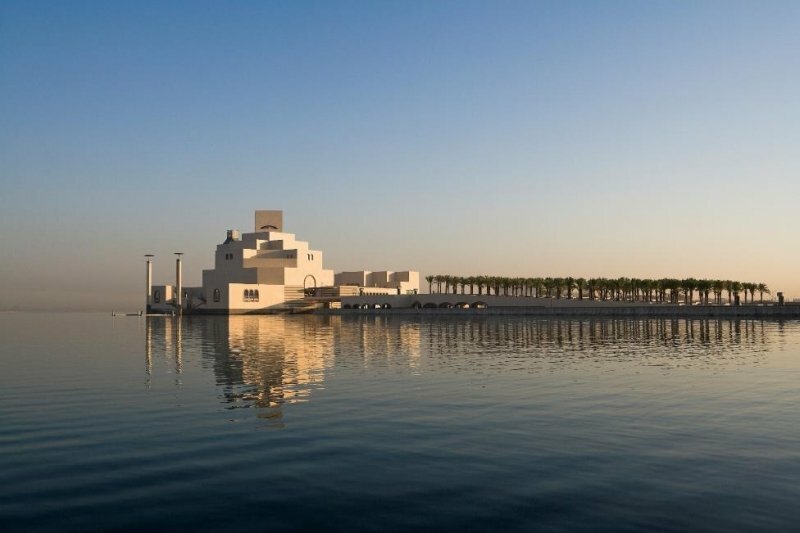 Perched on the waters of Doha Bay, the museum draws you in with its simple yet majestic exterior and captivates you with the intricate designs and exhibits inside. The museum’s unique location also makes it ideal vantage point for admiring the stunning Doha skyline. The exterior of the museum really brings out the greenery in the surrounding park during the day, providing even more contrasting sights to enjoy! Visit after sundown and you’ll find one of the most beautiful vistas in all of Qatar, perfect for your Instagram feed! To say that the National Museum of Qatar doesn’t look like a typical museum would be an understatement. 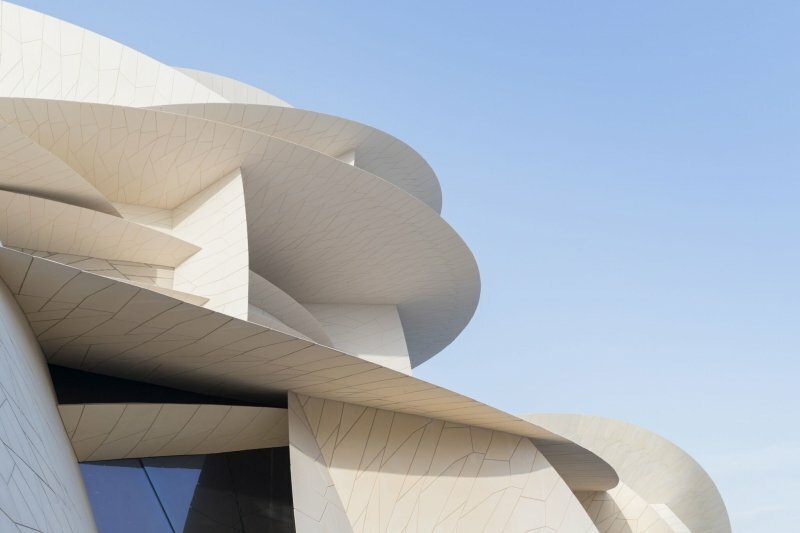 Inspired by the desert rose (the unique sand formation shaped over time in the desert), the museum features multiple sharp and curving edges, making it look like a giant piece of origami! 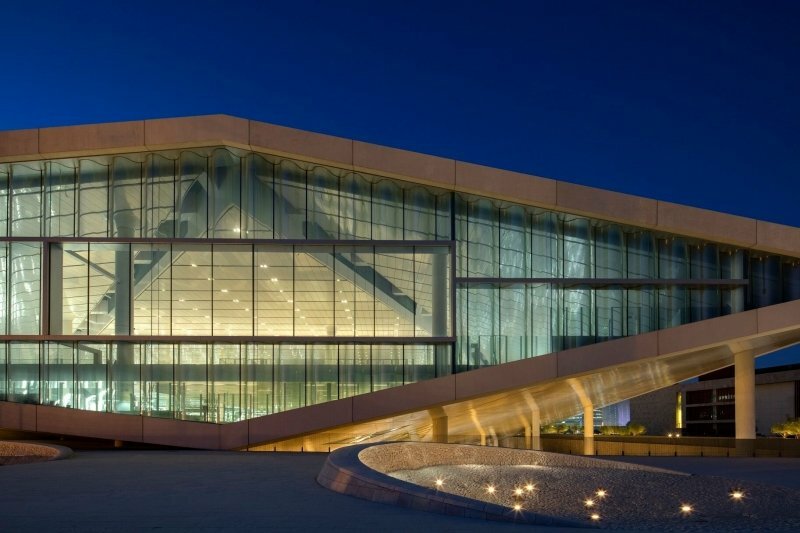 Apart from being an architectural wonder, the National Museum of Qatar also houses several modern exhibits in its museum halls. So, after admiring the futuristic exterior, make sure to head on in and learn more about the culture and art of Qatar! 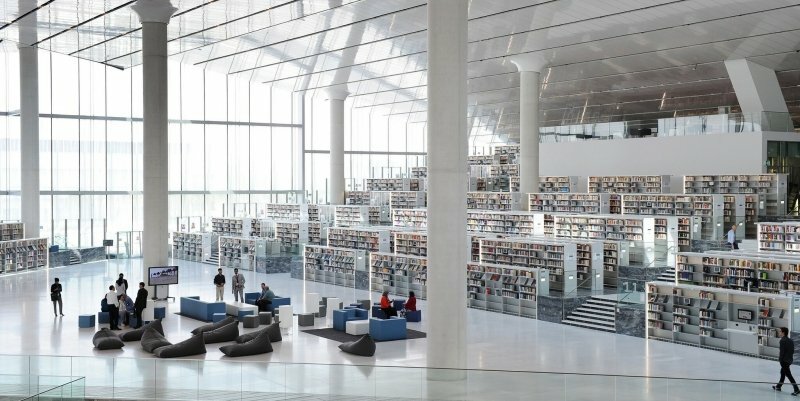 Qatar National Library’s futuristic design and endless shelves of books offers a feat for the mind and eyes. Those looking for photo opps will be smitten by the symmetry of the interior. Fun fact: it was designed by renowned Dutch architect Rem Koolhaas. Large window panels allow plenty of natural sunlight into the open reading spaces, providing the perfect lighting for mood shots. Book lovers will fall in love with this place over the bountiful collection of literary works as well as other prized collections. You could easily spend hours reading in this delightful place! Safe to say, the Qatar National Library is a true gem for both bibliophiles and photography junkies. Just make sure you stock up on extra storage for your camera, you’ll need it! If ever there was a place for ambient photoshoots in Doha, it’s at the Pearl-Qatar. That’s especially evident in its famous Qanat Quartier. 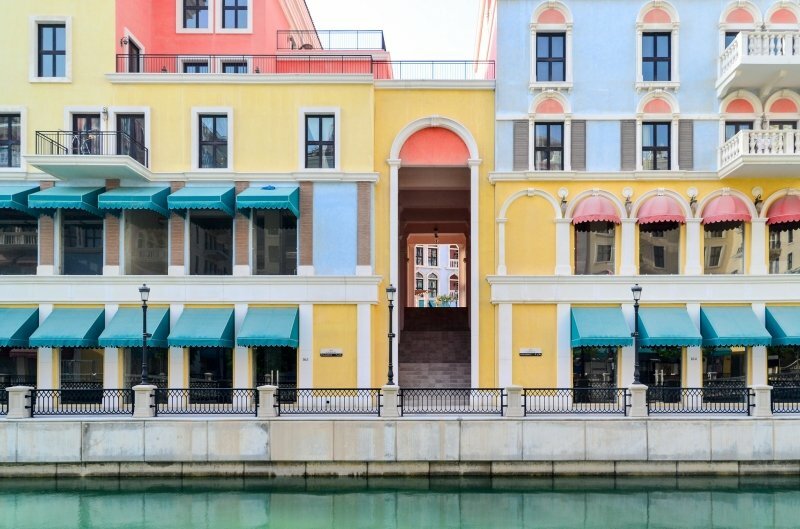 Not only is it a popular location among avid photographers, Qanat Quartier is also where many of Doha’s aspiring filmmakers film romantic “European” scenes. 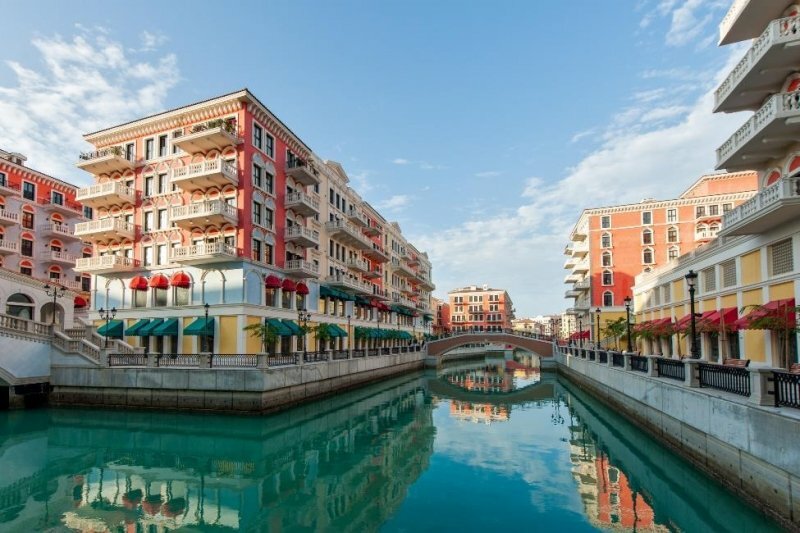 That’s because this location features vibrant colours and flowing canals, reminiscent of Venice. With such lovely backdrops and colours, you’re guaranteed an awesome #potd whenever you click the shutter on your camera. Feel free to spend as much time as you need here to get that perfect shot! 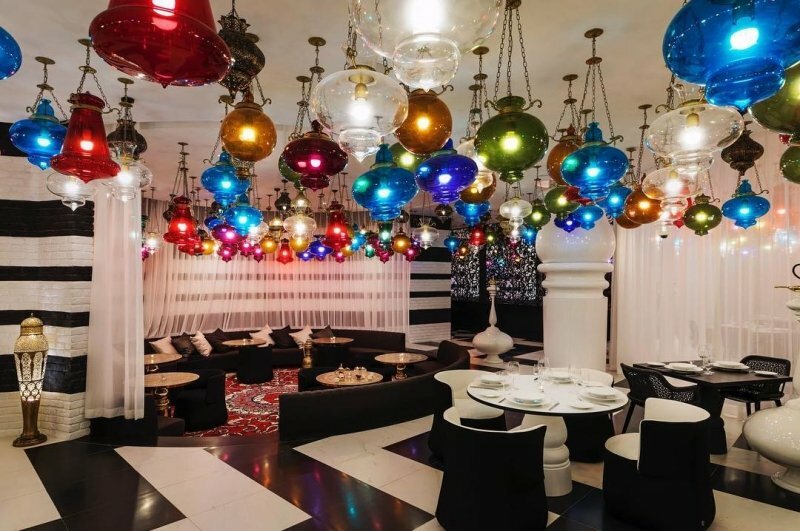 If colourful themed hotels are your kind of thing, then you’ll absolutely love the Mondrian Doha. 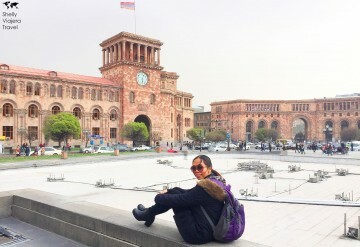 This five-star designer hotel first opened its doors in 2017 and has since become one of the most popular spots for Instagrammers in the city. While the hotel does offer stunning views typical of a luxury property, it is the interior decor that will make your jaw drop. 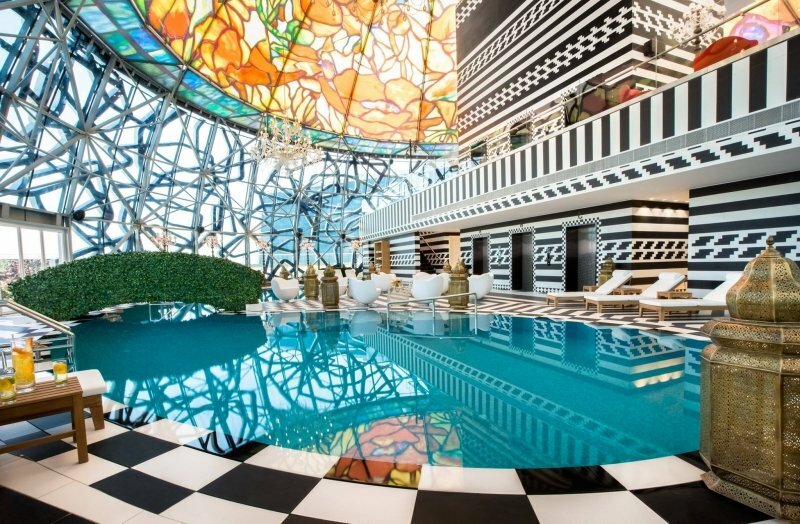 The hotel uses a mix of colourful ornaments and glass panels set against a classy black-and-white colour scheme to exude an almost-magical visual effect. The decor is sure to get you reaching for your camera as you attempt to photograph every inch of its beautiful ensemble that’s easily comparable to a scene from Alice in Wonderland! 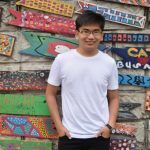 Looking for the best place to stay at in Doha? WEGO offers incredible rates and discounts on various types of accommodation. Check them out now and make your dream vacation in Doha a reality! With all the architectural marvels and gleaming skyscrapers, you might picture Doha as a futuristic metropolis way ahead of its time. However, take a detour to Souq Waqif and you’ll find traditional buildings that contrast starkly with the modern sights of Doha’s city centre. 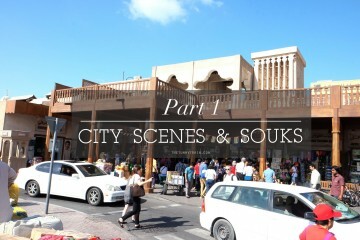 The Souq Waqif bazaar paints a more nostalgic and traditional picture of Doha that evoke a sense of medieval Arabia. The aged storefronts which line the boardwalks look like a scene in Aladdin more than they do in modern Qatar. 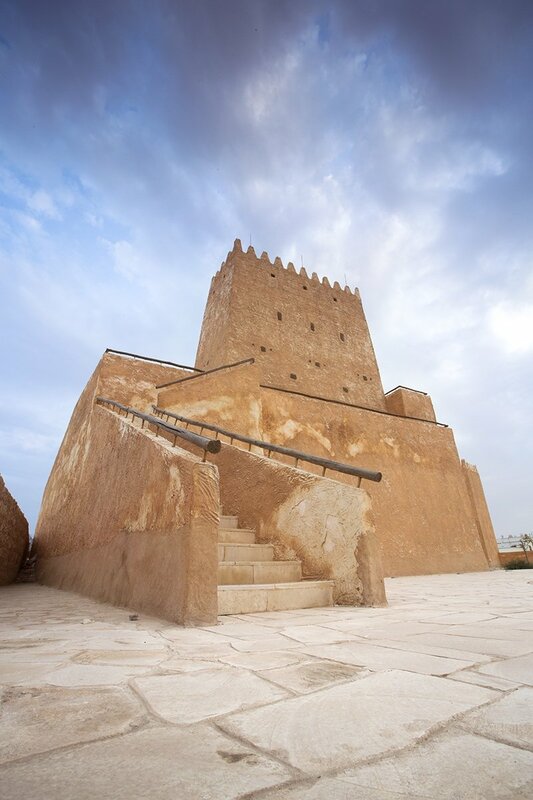 Here, Doha’s cultural heritage is preserved and on full display. 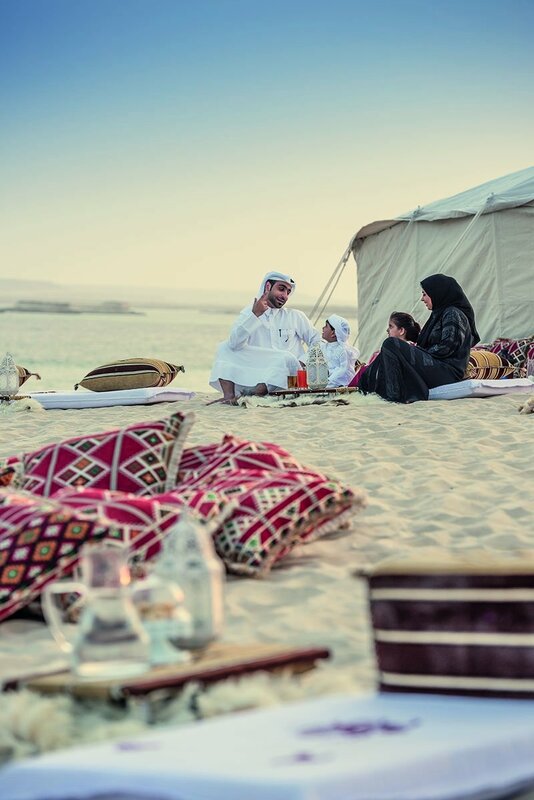 You will find plenty of stores selling traditional handicrafts and restaurants offering authentic Qatari cuisine. Of course, there are also many photogenic locations throughout the area. Getting a few snaps in Souq Waqif will allow you to show off the more rustic side of Doha, one that transit travelers don’t often see or hear of. The Barzan Towers are a pair of watchtowers built in the 19th century using limestone and coral rock. Even on their own, the imposing towers look majestic in the sunlight and would look great on any Instagram feed. However, it is when you reach the top where the view is truly breathtaking. Towering above the surrounding landscape, the towers were originally built to keep watch over the rawdat, an ecosystem where indigenous flora and fauna blossom thanks to the collection of rainwater. While you’re unlikely to see the rawdat these days due to urban development, you’ll still be able to get a good view of the area and the sea beyond. 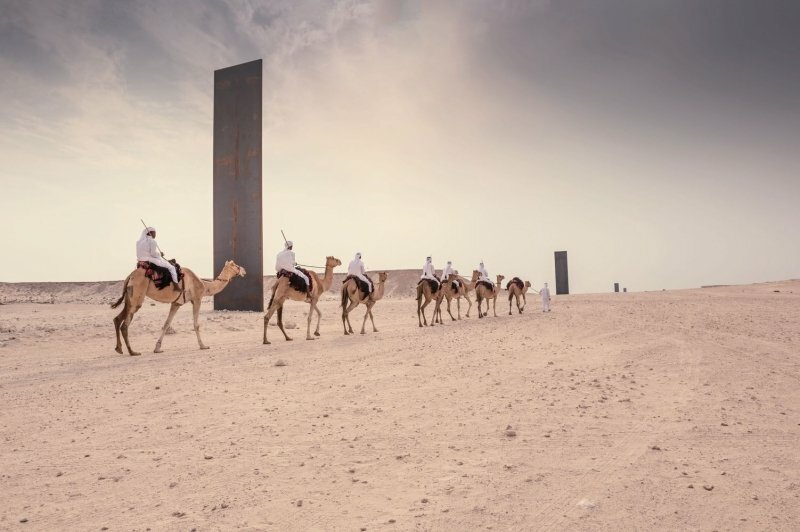 East-West/West-East is an enigmatic art installation by American sculptor Richard Serra. 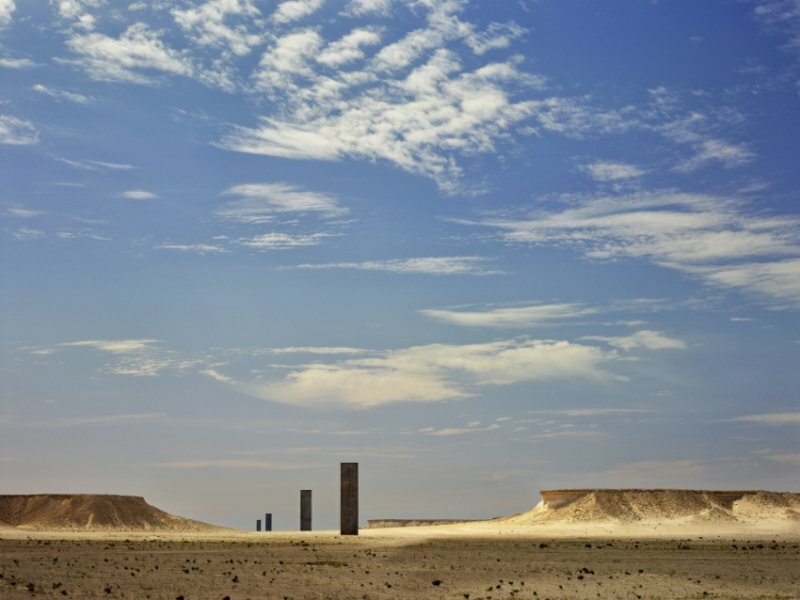 It is located in the Ras Brouq Nature Reserve near Zekreet and consists of four massive steel plates measuring 15 metres in height carefully aligned along a one kilometre stretch in the desert. Try angling your shots to frame all four of the steel plates in a symmetrical line. That way, you can capture the essence of mystery in this public art installation. Anyone else getting X-Men: Apocalypse vibes or is it just me? As the name suggests, the Khor Al Adaid Inland Sea is a massive body of water surrounded by desert sand. The striking sapphire blue of the inland sea provides an alluring contrast to the white desert sand surrounding it. While this natural wonder lies some way off from Doha, it is definitely worth every minute of the detour. There are no roads surrounding the area so get ready for a rough, bumpy ride! Do it for the ‘gram, am I right? 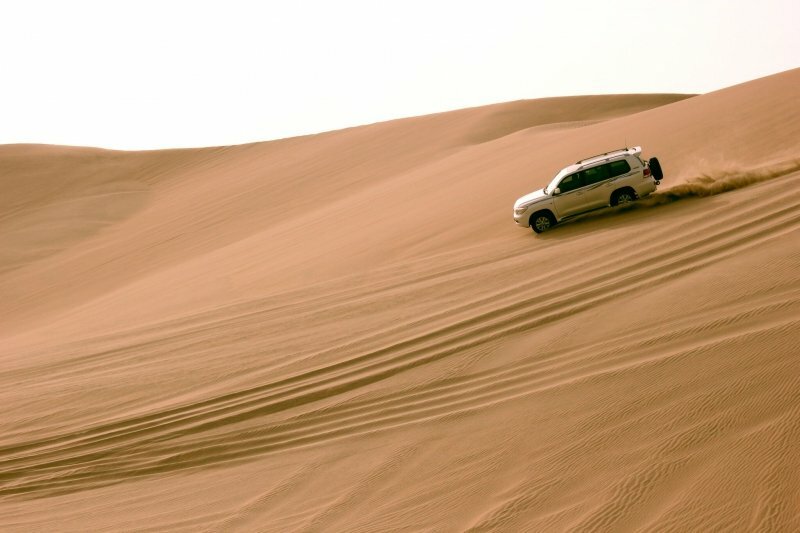 If you think that desert sand is boring and dull, then you really must visit the Singing Sand Dunes. Covering an area of roughly 100 square kilometres, you will find 60 metre-high sand dunes in this area, forming a distinct sloping line in the middle of the Qatari desert. Apart from the stunning view, this place is also popular for its magical singing sand dunes. When you move the sand, the dunes generate a vibrating sound that many say is akin to a song. If you’re looking for a memorable photo of the vast desert, this is the spot to get it! 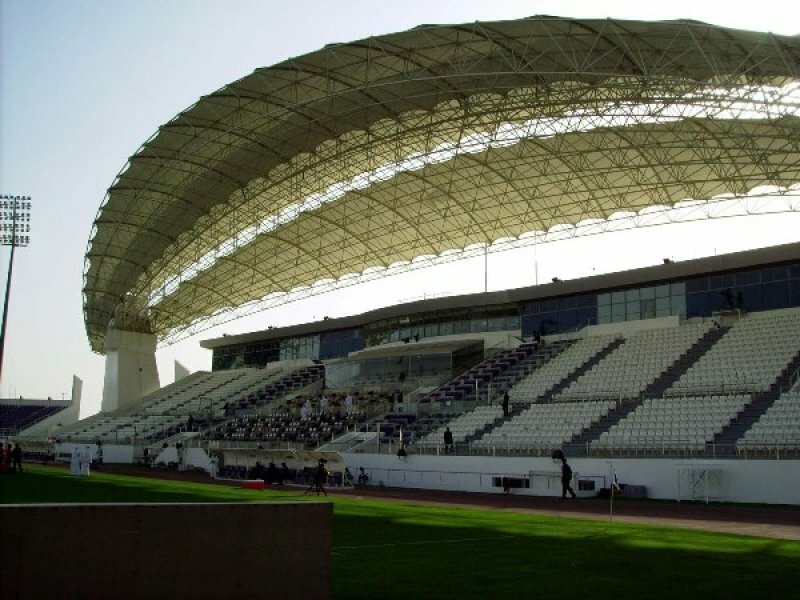 With the FIFA World Cup to be hosted in Qatar in 2022, we simply MUST talk about the massive stadiums (Khalifa International Stadium, Al Wakrah Stadium, Al Bayt Stadium, etc.) that are currently being constructed to host the tournament. These architectural masterpieces are modern sporting wonders that are sure to steal the spotlight come kick off in four years’ time. Among all the stadiums planned for the World Cup, the Khalifa International Stadium- completed in 2017 – is the first tournament-ready venue. Football fans will enjoy a trip to this massive stadium and will surely not want to pass up the chance for a good photo here! And there you have it, 10 incredible locations in Qatar for some spectacular photos! So the next time you’re in Doha, be it for a stopover or vacation, make sure to hunt down these picturesque locations and grace your Instagram feed with the colourful sights of Qatar! This article is brought to you by Wego. We spent 5 days vacationing in Dubai with my kids and parents and here's the lowdown of their favourite places! For some authentic local flavour, The Tummy Train shares her favourite local markets during her 2014 trip to Dubai.